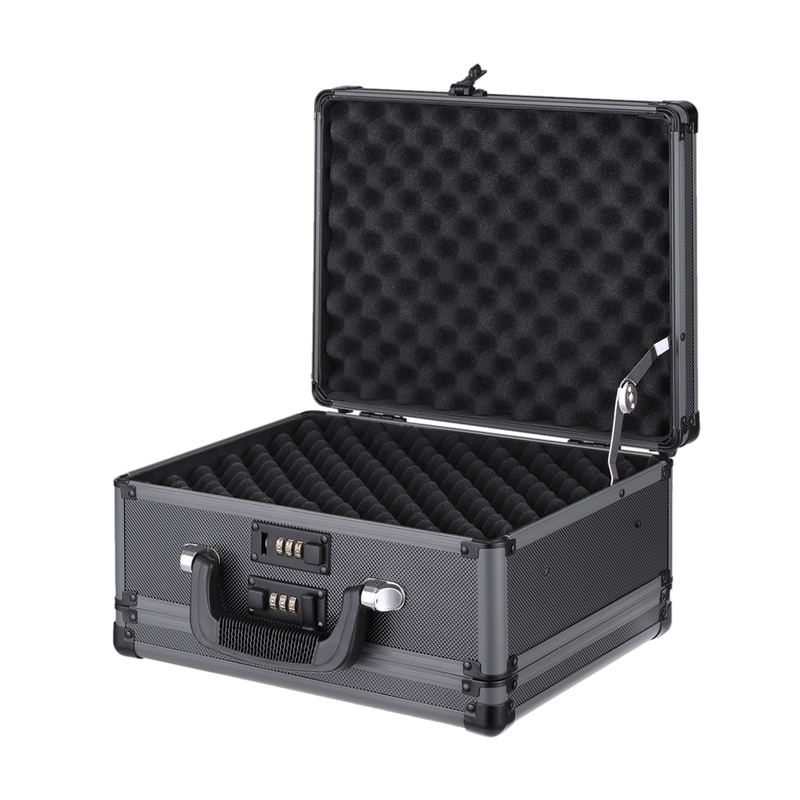 This is a high-quality hard shell pistol case with 2 locks to storage or display pistols. 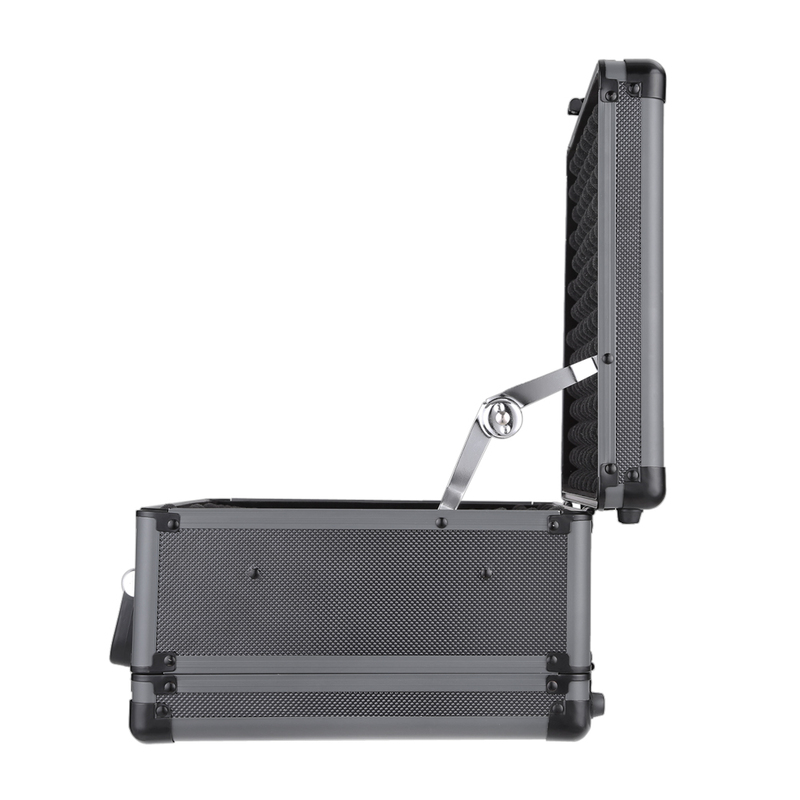 It features ABS panel + Aluminum frame, corners are wrapped with iron plates, which makes this case sturdy and have long service time. Have 2 triple digit combination locks to provide max. security. 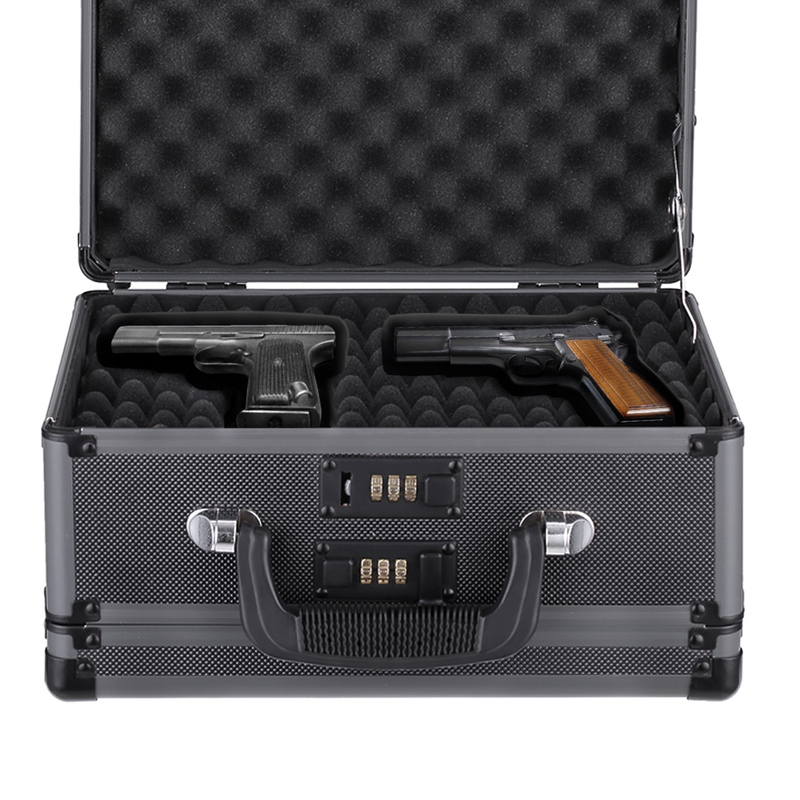 It is a perfect option to protect guns from children or intruders. Don't hesitate to buy it! Black colors with tiny diamond pattern, quite cool. 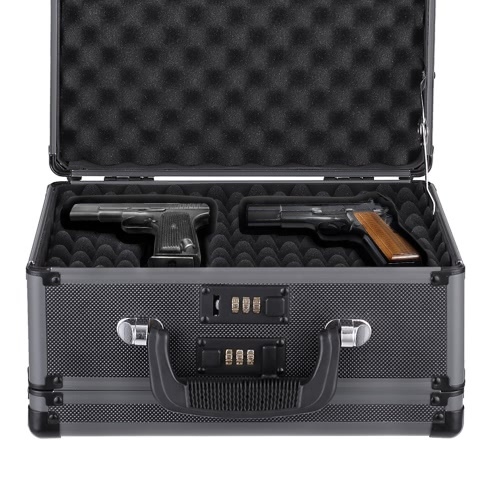 Double-sided design to storage at least 2 pistols safely. 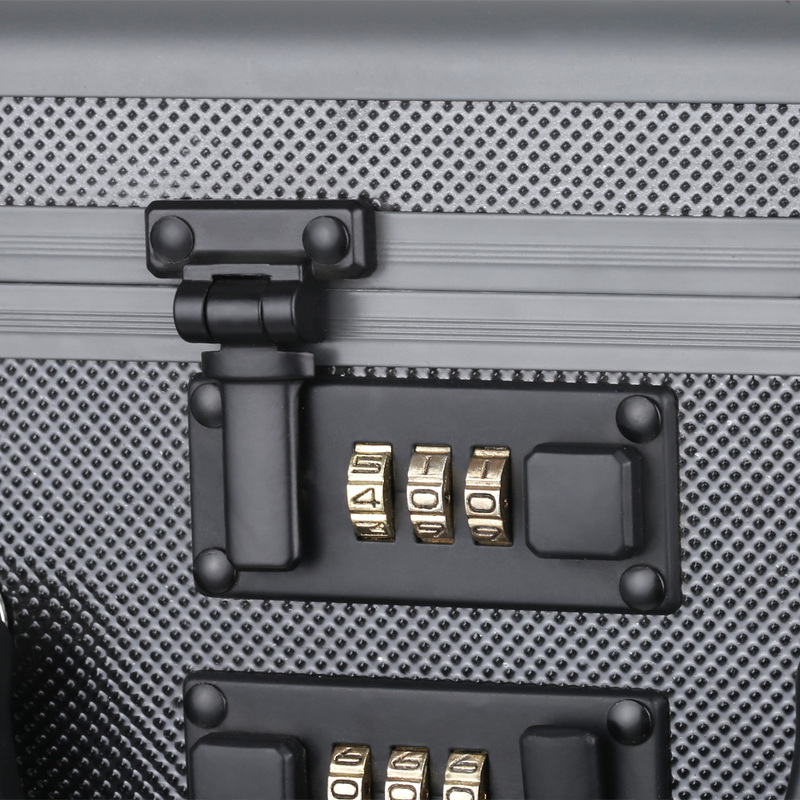 2 combination locks, provide maximum security for pistols. Excellent ABS panel with Aluminum Frame, iron wrapped corners, solid and durable. Can be opened at 90°degree easily. 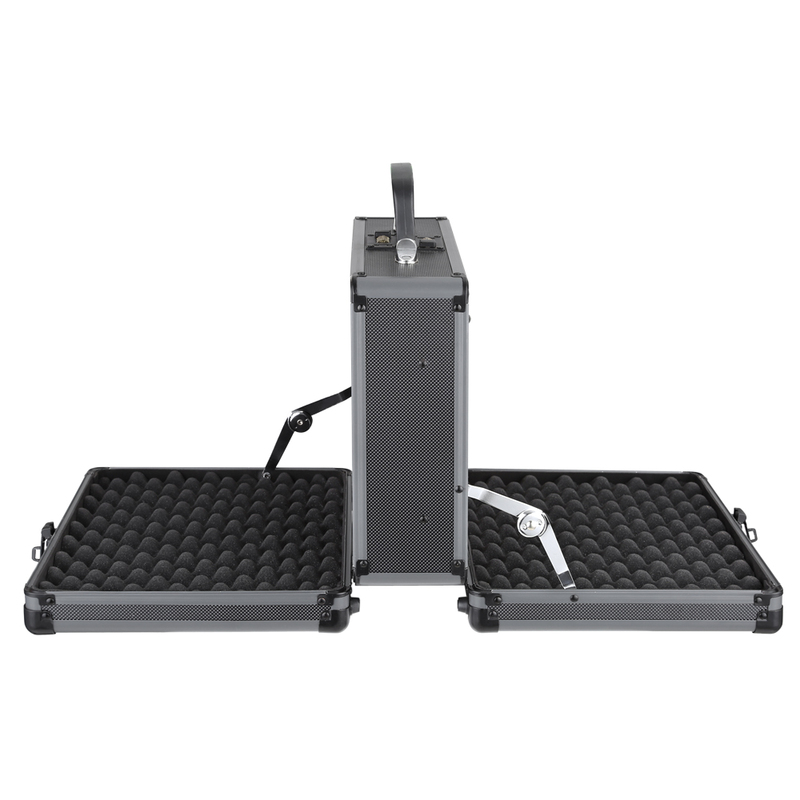 Light-weight, with non-slip handle to carry. 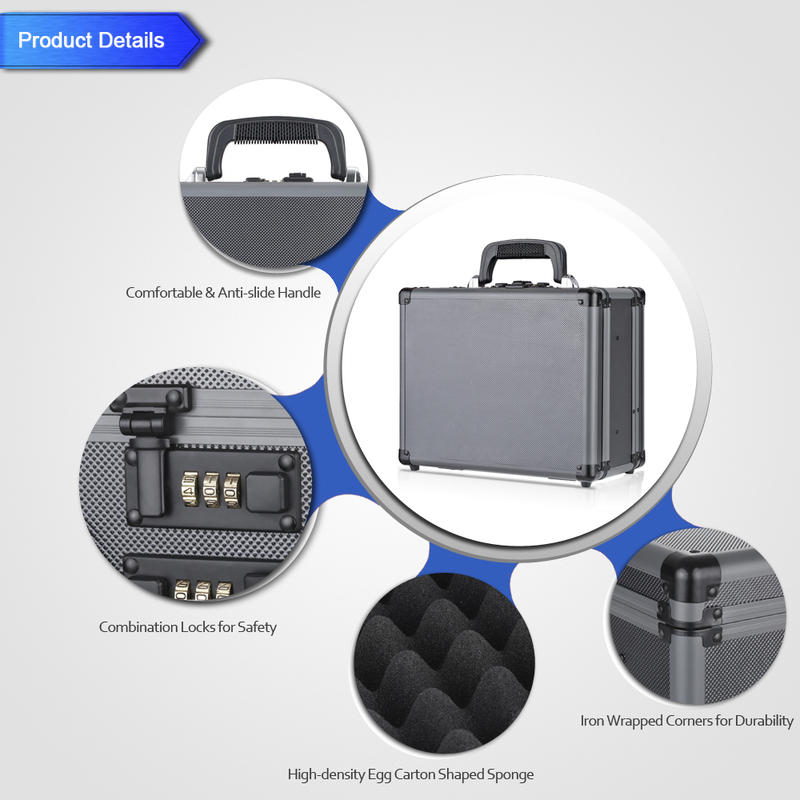 Interior high-density egg carton shaped sponge to protect gun from scratching and reduce shock. Perfect option to protect guns from children or intruders. 1.The sponge we used has passed test standard of IEC 62321 Edition 1.0:2008 and maximum concentration limits quoted from RoHS Directive 2011/65/EU. 2.Handle we used has passed PAHs Content test to ensure its quality. 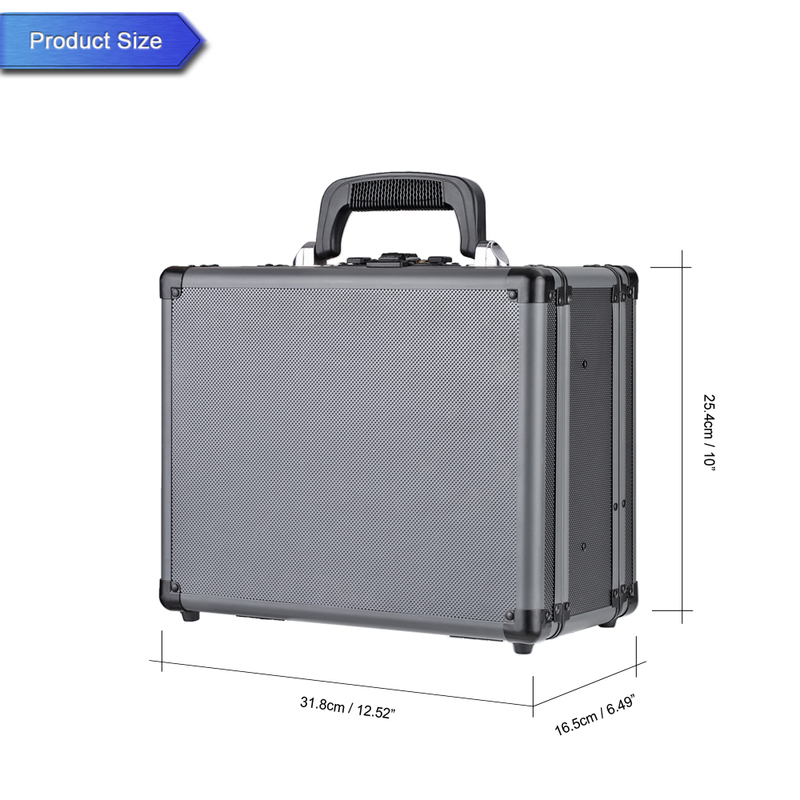 Package Size: 33.5 * 18 * 30cm / 13.19 * 7.08 * 11.81"
A: Dear Becker, Good morning, thanks for your question and I'm glad to help you to answer your question. According to related laws,this product can't be shipped by airline. Hope you could have a nice shopping experience in our website and have a nice day. It works fine and holds my firearms pretty snugly. 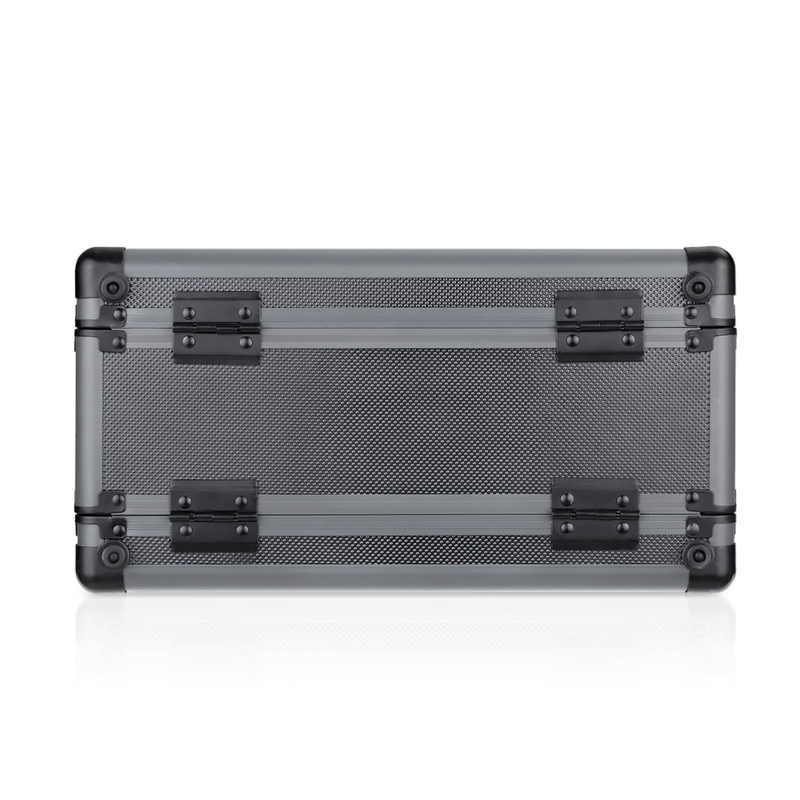 I have never seen another case with the quality and extras. Wonderful company. Definitely would order again. 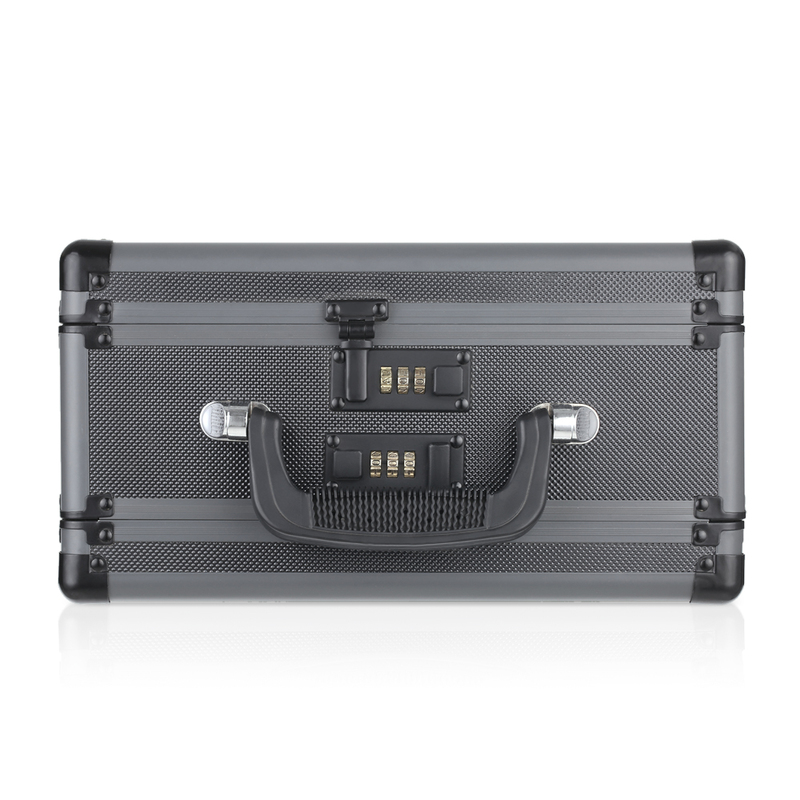 Overall a great case, recommend for first time buyers like myself or anyone on a budget. Perfect. Well built product. Couldn't be more pleased. Very high quality safe for a decent price it was packaged in probably the nicest pakaging I've ever seen. Very good service, nice quality items. I received my package within the 5 business days as promised in New Jersey USA. I think the quality is good considering I paid under 19 bucks w points and coupon. You really can go wrong! 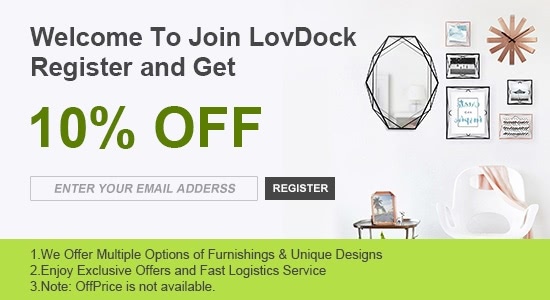 Thanks LovDock! Fast delivery!! Thank you!! Great quality too! !